Make a fantastic and helpful item for your wild feathered friends. It is common place to have bird feeders placed in your yard but this year add something a little different. 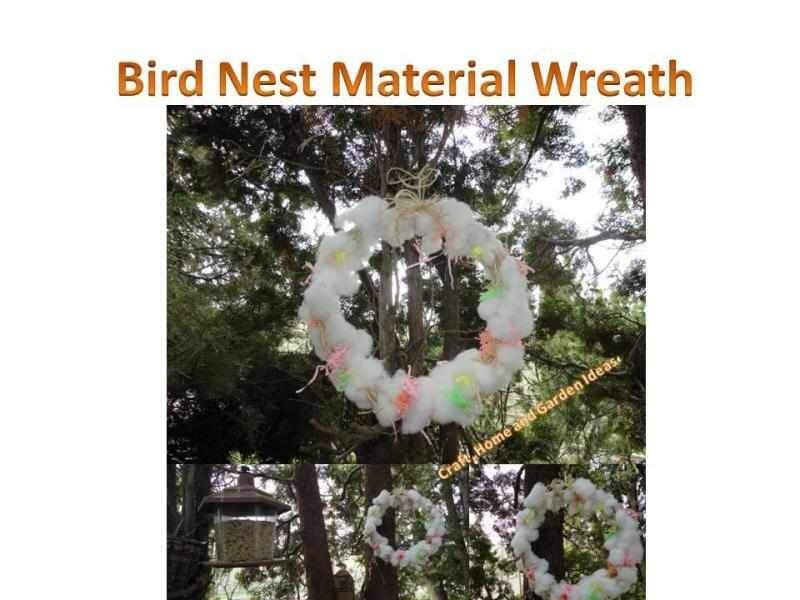 A material wreath will help your song birds with their nesting materials so they themselves can have designer homes. Begin making your wreath by cutting bits and pieces of the material you are going to use. When you have gathered and cut enough material start adding them to your wreath by loosely stuffing them in slots and/or wrapping and stuffing them. You want the pieces loose enough for the birds to be able to tug them out of the wreath but tight enough not to blow way in the wind. Add a large piece of twine to the top of your wreath for a hanger and place it outside.